I woke up this morning to a cute post from fellow thrower Terri Ventress. Terri lives down in Oklahoma and ya know the best thing about living down in Oklahoma? No, not the Sooners. Boooo Sooners. Braum’s Dairy Store. True story. Braum’s burgers and milk are mana from heaven. Really. They are completely self sufficient but you only get to enjoy them if you’re within fresh shipping range of Tulsa. We’re 774 miles from Tulsa. That’s not fresh shipping range. Never in my life have I wanted to live closer to Tulsa…until today. See, I haven’t thought of Braum’s for quite some time and I’m ashamed to say that when I’ve gone back to Wichita Falls, I opted for other favorites (Branding Iron; Pioneer House; P2, etc.) But that tasty Braum’s burger, mmmmmmm. 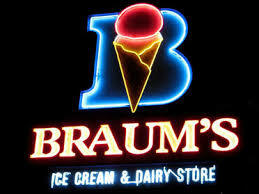 For me, out of all the burgers in Wichita Falls or surrounding area’s, I’d probably rank Braum’s 2nd or 3rd. But when you consider the best burger in Milwaukee, it doesn’t even come close to a Braum’s burger. Not. Even. Close. See, happy cows don’t actually come from California. They come from Braum’s farms. Good beef. I really, really miss good beef. I don’t understand why it’s hard. We have good cheese, why can’t we get good beef?? But Braum’s doesn’t stop at just good beef. Each gallon of Braum’s milk is touched by an angel before being sealed up. I can’t describe how good it is. I’ve never had fresh, unpasteurized milk. In my mind, that would taste very good. But STILL not as good as Braum’s milk. The first thing we would do to any ‘too skinny’ male who wants to gain weight and be big and strong is send them down to Braum’s. First eat the burgers and ice cream, then get the milk on the way out. Fact. And hey, guess what good milk makes? 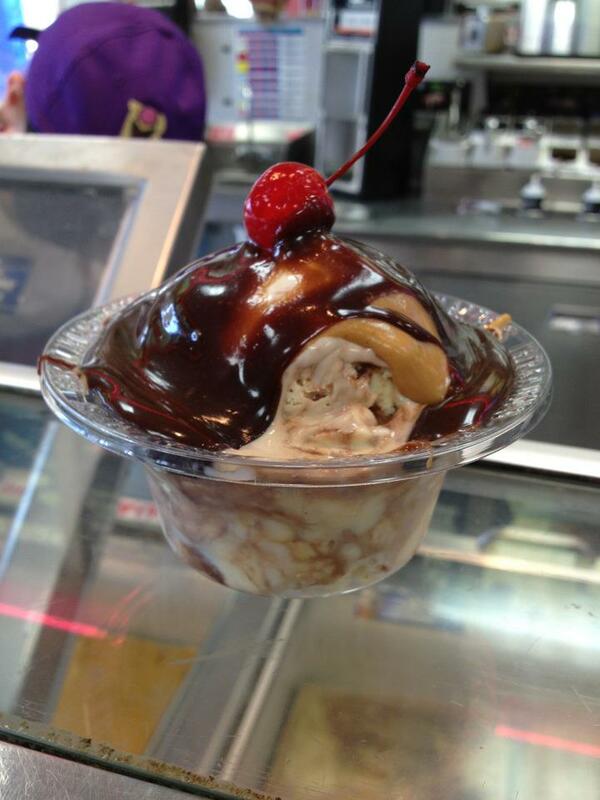 If we could have served Braum’s hot fudge and peanut butter sundaes for dessert at the wedding, we would have. This is a big O in a cup. SRSLY. Have this AFTER a burger and it’s a multiple. FoShizzle. Anything I eat for the rest of the day will be less than what I want. What a downer. Thanks a lot Terri! heh. I guess we could go get a Kopp’s burger and custard. We’ll see. Sloppy seconds, poor Kopp’s. You can’t always get what you want. But if you try sometimes well you just might find, you get what you need. This entry was posted in Uncategorized and tagged Braum's, Braum's burgers, tosabarbell, Tulsa OK. Bookmark the permalink.